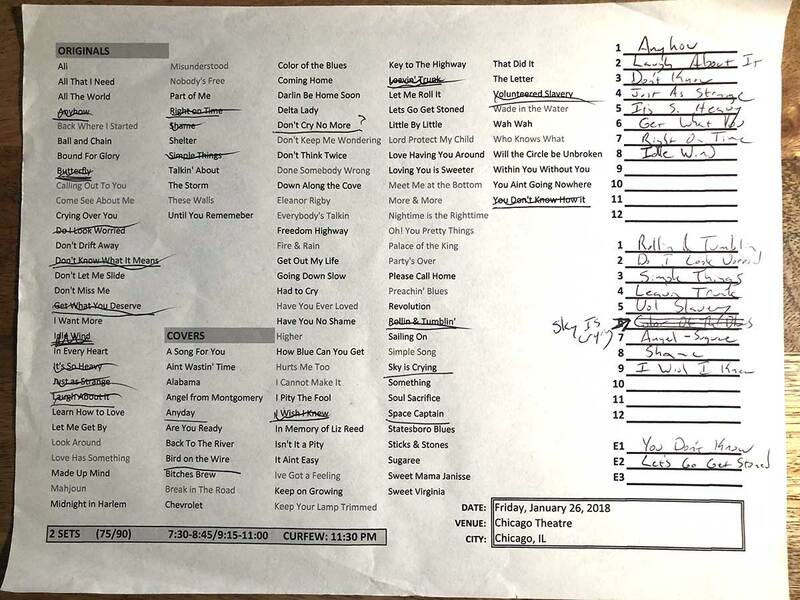 Every show night, Derek and Susan sit down with a list of their entire repertoire of songs to create the set list. We've got a collection of hand-written set lists from previous shows and we want you to have them! Each one is one-of-a-kind and signed by both Derek Trucks and Susan Tedeschi. Simply click ENTER below for your chance to be one of 25 winners of an original, hand-written TTB set list.